Buzzed to be doing this. We will be there fully stocked - including a few new colours of tees and caps exclusive to this! There will be a load of cracking sellers there too including Honk and Small Stories! 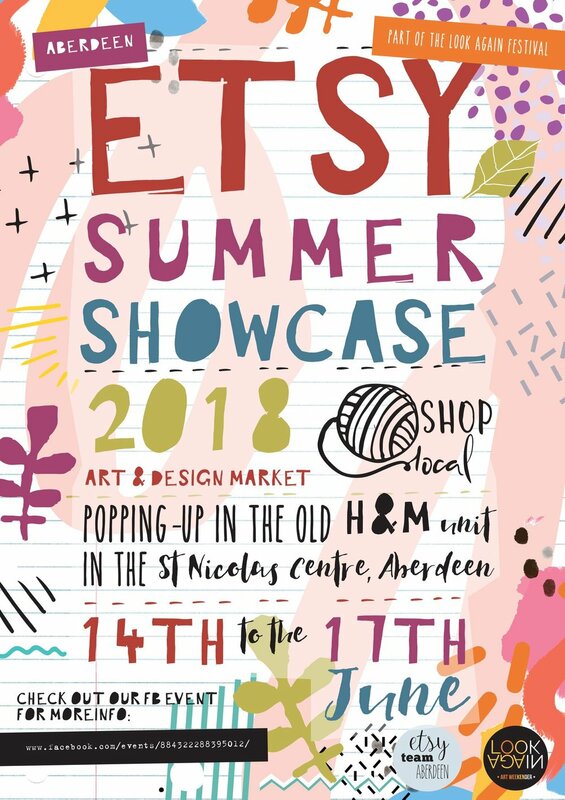 Come along and support small and or local folks trying to get there stuff out there. These events are pretty critical for me - its a great chance to meet folk that have bought stuff from us. Nothing better than that! As previously mentioned on FB. 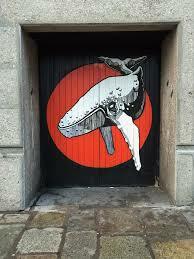 IG etc we are collaborating with local loon Chris Bissett aka Jetpack Dinosaur! Really excited for this - I've been a fan of his work for years without actually knowing who he was. Once i put 2 + 2 together i sent him a wee message and now we are good to go! As soon as the design is finalised we will crack on with screen printing the decks and getting some tee's done. Exciting stuff! Couple of things bubbling for me and Justin aka Honk. Tees for one image and decks/tees for something else! We'll get around to this soon..! Also in the midst of testing out a design from an artist. If they are happy with how it looks then that will be good to go too - most folk in Aberdeen will recognise this one and it's firmly in the Doric Skateboards wheelhouse too. Speaking of this date - we have this event planned for August 3rd and 4th. More details to follow very soon! Found a supplier to do Doric Skateboard wheels. These will be happening this year for sure. You'll start to see our presence in a few different places around town very soon. Keep yer eyes peeled - i'll be posting pics this month to show them off. Its been a busy 4-6 weeks. 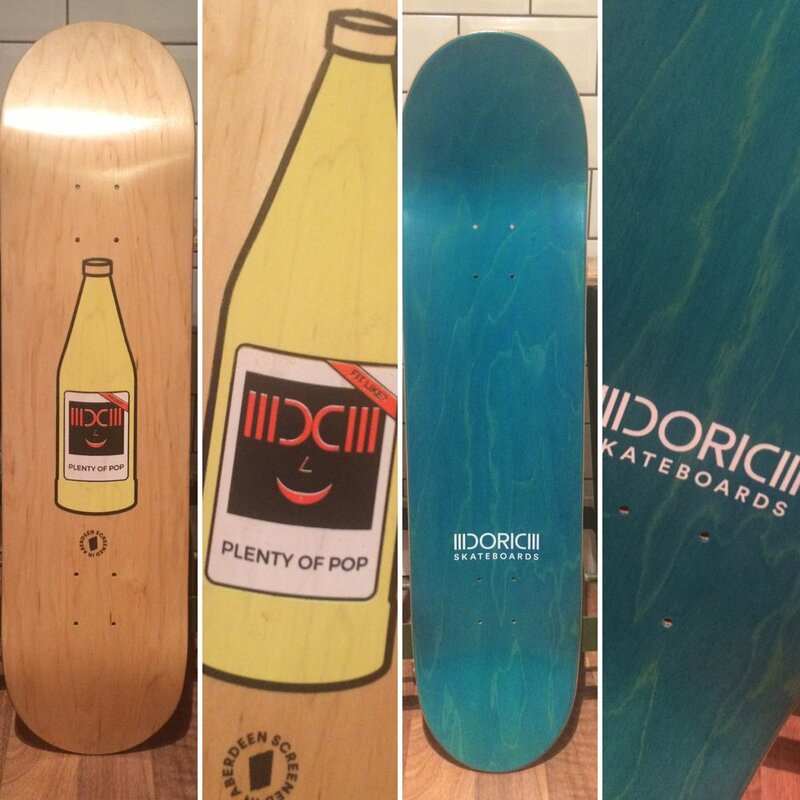 We've added new graphics for decks - skyline and 4 bottles - new hoodies, new long sleeve tees, tote bags, caps, enamel badges and loads more stuff on the way! Also nice to see a couple of parks in Aberdeen revamped (reramped?). Torry looks good but haven't had a chance to skate it yet. Did go out to Cults and it was fun! Really well made and ample room and scope to expand. Work looks like its cracking on at Westburn - repairs look like they've taken a hit already though - lets hope the local committee that steered it all is on top of it and the new part is built correctly. My degree was Construction Design and i had a particular passion at one point for concrete, so its always interesting (for me anyway) to see the process. That's about all for this post people, thanks for reading this far! Pics below to go with word! Thanks to everyone who's been a support in any way - appreciate it massively. !